The University of Georgia School of Law is dedicated to providing the tools students need as they undertake the journey of learning to study the law. While that journey is stimulating and fulfilling, it can also be challenging and difficult. Almost all law students, no matter how qualified and prepared they are for the task, struggle at times to master the skills required. 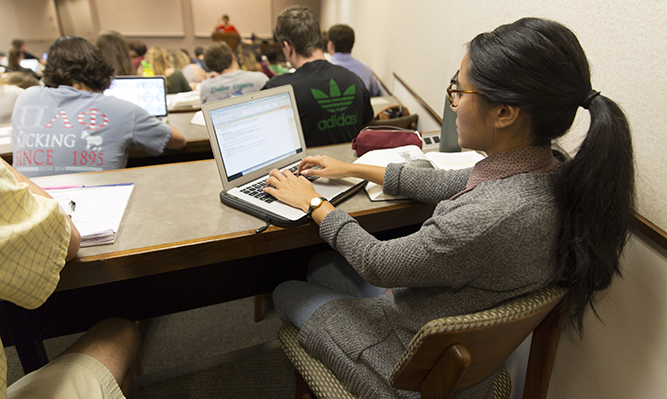 The Academic Enhancement Program (AEP) was created to help students adapt to the unique demands of law school. AEP conducts a series of workshops scheduled to coincide with the times students are likely to have concerns about particular topics. Workshops target skills that cut across the curriculum, such as how to prepare for and manage classes, how to outline and create review materials, and how to successfully prepare for and take exams. AEP also provides one-on-one counseling to students who would like more individualized assistance. Contact Allison Hale (ahale@uga.edu), director of the program, for more information or to make an appointment.